The scholarships are one of two sets of annual awards from the WWBPA to honor those who share our vision of a bicycle and pedestrian-friendy community. We also selected three winners of our community service awards and presented them at our annual meeting in March. Mike Viscardi, a project development planner, has been a fantastic contact for the WWBPA at New Jersey Transit. It has only been with Mike’s help that we have been able to add bike racks and lockers on two occasions. Michael Ogg, a former trustee, has raised our awareness of the needs of the disabled when making improvements to our sidewalk network. We thank Michael for all his contributions. And West Windsor Township, beginning with Francis Guzik, the township’s engineer, has added so many bike lanes, filled in many gaps in the sidewalk network and added safe pedestrian crossings in the past few years. Thank you! 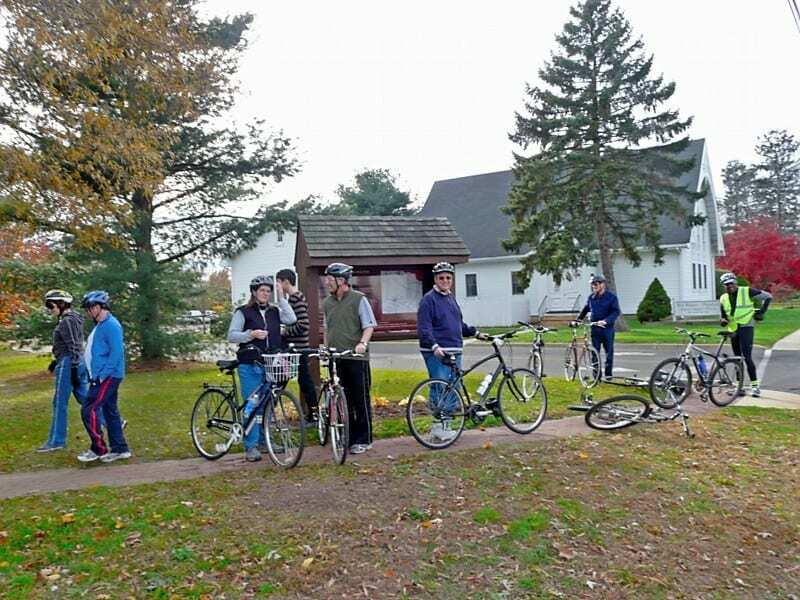 The miserable weather forecast for Saturday means we’re postponing our bike ride of historic West Windsor sites. We’ll see if our rain date, Nov. 13, treats us better. 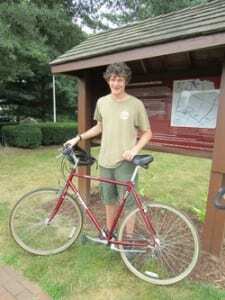 Join the West Windsor Bicycle and Pedestrian Alliance and Eagle Scout Paul Ligeti for the inaugural bike ride of Paul’s 11-mile tour of historic West Windsor sites. 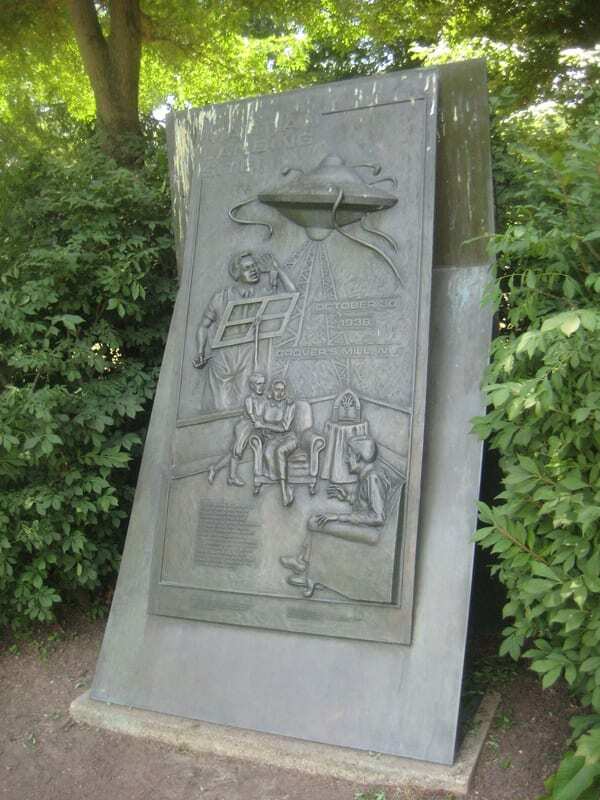 Paul’s route points out many places beyond the imaginary Martian landing in War of the Worlds. 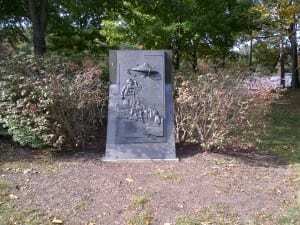 Did you know West Windsor has two stops on the Underground Railroad? Or that a double murder in Dutch Neck in 1910 led to the first use of the electric chair in Mercer County? 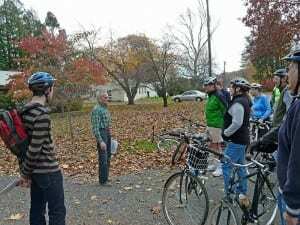 Woodrow Wilson used to bike from Princeton to walk around Grover’s Mill Pond, another stop on the tour. The red markers you see around town are stops on this route, which you can find on http://wwhistoricbiker.weebly.com. We will meet at the kiosk at the trail’s starting point, next to the World War II memorial in Dutch Neck (corner of Village Road East and South Mill Road) at 2:30 p.m. Saturday, Oct. 29 (rain date is Sunday, Nov. 13). Paul, a member of Troop 66, will say a few words about his project before we start. We will stop around the halfway point to hear more about War of the Worlds – broadcast almost to the day 73 years ago, on Oct. 30, 1938. While much of the route is on roads with bike lanes or on quiet residential streets, it does include a portion of Cranbury Road. Helmets are required, and children under 12 should be accompanied by an adult. Everyone should bring a signed copy of the waiver form available here: wwbpa waiver form. For more information, email wwbikeped@gmail.com. 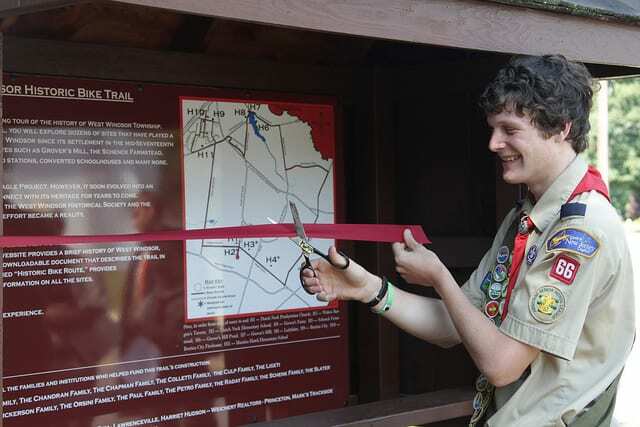 Join Eagle Scout Paul Ligeti, township and scout officials for the ribbon-cutting of Paul’s 11-mile route through historic West Windsor at 10:30 a.m. on Saturday, July 30, at the trail’s starting kiosk next to the World War II memorial in Dutch Neck (corner of Village Road East and South Mill Road). 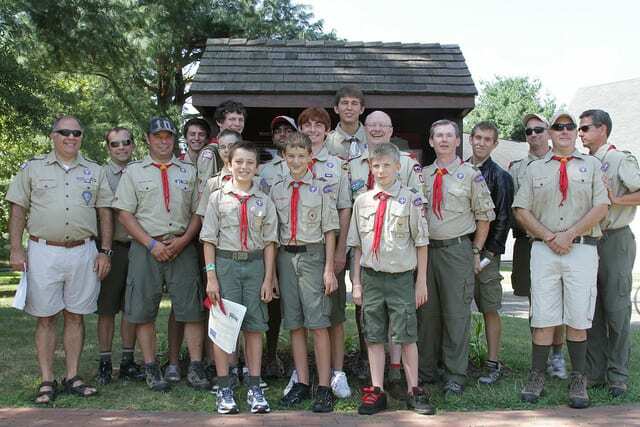 Paul started this project to get his Eagle Scout award, but it has turned into a labor of love. 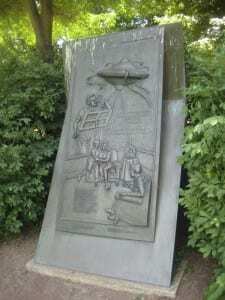 His website not only has a map but plenty of detail about West Windsor that goes beyond War of the Worlds. Did you know West Windsor has two stops on the Underground Railroad? Or that a double murder in Dutch Neck in 1910 led to the first use of the electric chair in Mercer County? And that Woodrow Wilson would bike from Princeton to walk around Grover’s Mill Pond? The red markers you see around town are stops on this route. The WWBPA intends to team up with Paul for a group ride once the weather cools down. Watch our website and Facebook page for details. 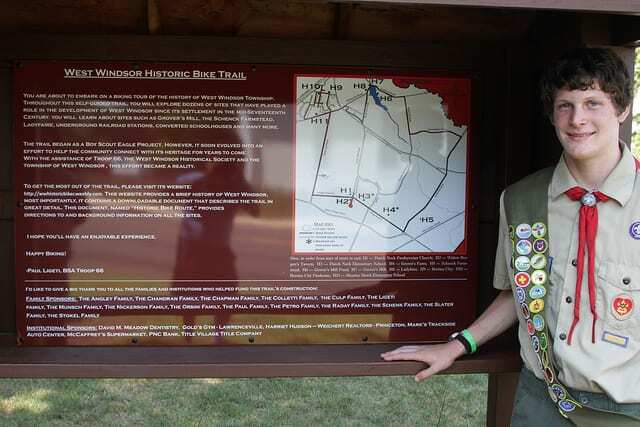 Paul Ligeti of Troop 66, sponsored by Dutch Neck Presbyterian Church, is creating a bike route for his Eagle Scout project. 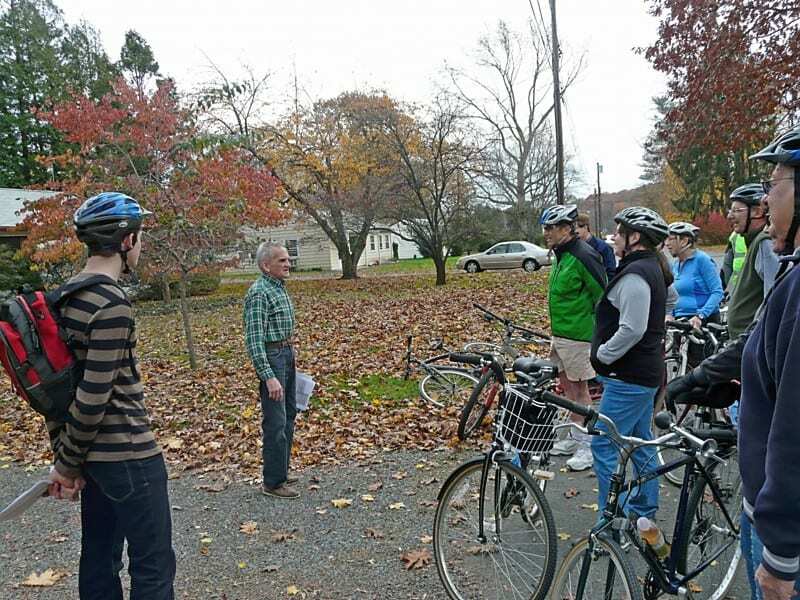 The trail will pass by many of West Windsor’s historic sites, which are described on his project website. Please support Paul’s effort! Please remember that when riding on the roadway, a bicyclist has all the rights and responsibilities of a motorist, including following traffic signals and stop signs, etc. Do not ride against traffic! Besides being the law, following the rules of the road has been shown to be safest for everyone, since motorists and bicyclists behave in a common predictable way. Enjoy your ride!